In the book Cherub, the main character James, will take you on a journey that is full of action and heartbreaking moments, for example, when he was separated from his sister. This novel tells how James gets into trouble frequently at school because he was defending his mother from other students who were calling her rude names. When his mom dies, he is sent away to a secret agency called Cherub for kids that have had similar experiences to James. James is sent to a place called Cherub. It is where kids are trained to be agents. James is sent on his first mission that could lead to save the lives of thousands of people or kill them all. This story will take you on a journey of strength, love, courage, and death. It has the ability to motivate you to be kind and teaches readers that you should be prepared for anything that can happen. I liked this book because of the story line. In most books, the story jumps around a lot and can sometimes make the reader confused about what is happening, but in this book all the characters are easy to keep track of where everyone is. I would recommend this book to students in 7th and 8th grade. The book was easy to read because the story had one focus. The author did not jump around; the plot was like a chain with one event following another. I was able to imagine and visualize what James was experiencing because the author used a lot of descriptive language. 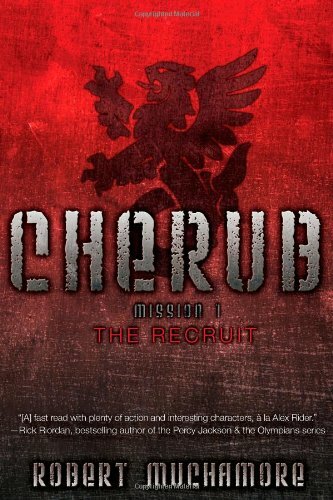 Cherub by Robert Muchamore an interesting story because James led an interesting life. He was part of a dangerous mission that could save or end millions of lives. This book is a fast read and the action starts on the first page and ends on the last. The story will lead up to a mission that will save or destroy the lives of thousands of people. In conclusion, will be reading the next book in the series and I recommend it.